This is the perfect time of year to finalize plans for the gardens – it doesn’t happen until a lot of dreaming and thinking has gone into the equation. Planning a food garden is an important part of being able to ensure having enough food in the cold room for the winter. This planning is just one of the things I love about Winter. There’s very little work to be done outside and no one minds if we get up late and linger over coffee. Garden catalogs have started to arrive although I get a lot less than I used to. That’s because I focus on growing heirloom varieties and so I can save my own seeds. Needless to say, the seed businesses using GMO seeds don’t get much business from my house. Food gardening has gotten a lot cheaper for me, since I can gather the seeds myself. I don’t have to pay those shipping costs, which always add up. When I do make a mail order, I try to find friends who want seeds as well so we can go in on an order together and save some money. Perhaps the easiest way for me to show you how to plan your food garden is to show you what I am doing for my own vegetable and berry gardens. We have a lot more Garlic planted. This means I am going to have less time to spend on our own food garden. We still have lots of canned food in our Cold Room, from previous years. This is a huge bonus. I can spend the time on other things and we still won’t have to spend a lot of money at the grocery store! Grow mostly root crops (potatoes, beets, carrots) because they are easy for us to store in our cold room. We’ll still be eating them the following March. 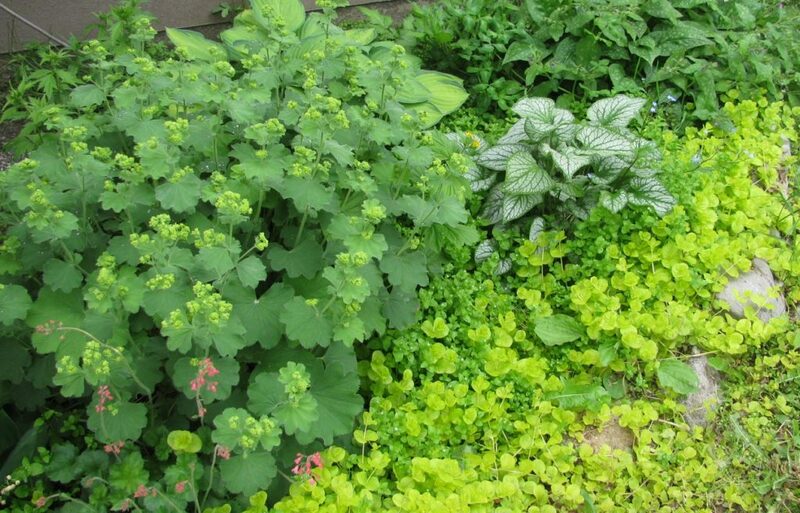 They are easy to grow and don’t require a lot of maintenance during the busy Spring and Summer. Here’s how to grow and store potatoes. Plant lots of shell peas – there’s nothing like eating garden fresh (yes frozen) peas in January. One of our favourite meals is venison snitzel with homegrown potatoes and garden peas. Heaven on earth for us, that meal is! I know a lot of people prefer snap peas, the ones where you eat the whole thing, pod and all. I confess although I love to eat these fresh, I am not such a fan of eating them after being stored in the freezer. I’m picky when it comes to eating veggies – I love all kinds, but I love them fresh or al dente for sure. I so dislike eating soggy mushy veggies. It is so important to grow what you like eat! Don’t bother wasting space for planting veggies you and your family don’t really enjoy eating. It’s a waste of space that could be filled with food you love to eat. If your family loves carrots, plant a couple wide rows and you will easily have enough to last through the winter. Here’s how to grow and store carrots. You really can still be eating garden carrots in March or even April of the following year. I love shell peas, but I know they take a lot of time to shell them once you get them picked. Big deal…I’ll easily handle sitting on my porch for a couple of hours with a big bowl of peas. Sounds like a self imposed late afternoon rest to me. Just don’t come along and grab a handful after I’ve picked them, cuz I tend to get pissy about that. Shell ’em yourself, I always say. I blanch and freeze the peas and then we enjoy them all winter long. As for the leafy greens, I’ll just be planting one half row of lettuce (which will give us lots) and half a row each of swiss chard and spinach. I’ll plant at least one wide row of green beans. We need to keep the Remay cloth handy for covering on cool nights here, as beans don’t like how low the temperature can dip. We want to can up lots of pint jars full of green beans as we are starting to run low of those in our cold room. Here’s how to pressure can green beans. And I will plant a few broccoli and a few cauliflower, maybe six of each. One row of cabbage so I can make up a couple of batches of sauerkraut come the fall. We grow big cabbages here in the Cariboo! Sauerkraut is so easy to make. Here’s how to make Sauerkraut. In the greenhouse, I’ll have several varieties of peppers, both hot and sweet. Also some cherry tomatoes; all heirloom varieties. I haven’t checked on how much tomato sauce I still have on hand, so I’ll need to do that today. If I need to can up more, we’ll take a road trip closer to the coast where we can pick all day for very little money. We’ll bring a couple hundred pounds home and get the stock pot going to make tomato sauce and pizza sauce. It’s too cold at nights here to plant tomatoes – they have to be grown in greenhouses and mine is just not big enough for the quantity we use. As for the rest of the garden, it is all planted in Garlic. We have more than 23,000 plants in this year and are already planning for expanding again this year. We can ship naturally grown Garlic (from organically certified seed) all across Canada so if you want some, just let us know. We start harvesting mid-summer, depending on how hot it has been. With food prices rising everywhere, I encourage you to plant your own garden this year. Just start small so you don’t get overwhelmed. Think about what your family likes to eat and plant that! Root crops are easy to grow, easy to store and get expensive to buy in the winter. Wouldn’t it be great if you had your own supply? 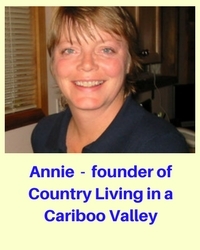 I agree Annie, I have a lot of garden produce still here and we are eating some of it everyday. It has really helped save money when it comes to groceries! We butchered our own beef this year as well, plus we have chickens and we let the honey ppl use a little spot in one of our fields so we get well rewarded with wonderful honey for that. Now if I could only grow coffee beans… Have a great day! Hi Tracy, how did you preserve your veggies? Canned or frozen? It sure is great to grab what we need for meals out of a cupboard rather than having to go grocery shopping isn’t it 🙂 Sounds like you are eating lots of homegrown meals; such a bonus these days. And it’s much healthier! I have potatoes, onions and carrots in cold storage, canned tomatoes, beets cukes and fruit. and then froze tomatoes, tomato sauce, corn and lots of fruit. Our apple trees didn’t do well last year, so I am hoping for a harvest this year! It is an awesome feeling to know that you are eating something you grew! And I like to do a bit of all the preserving as I’ve seen other people lose a lot to a freezer going on the brink! You’ve got a huge variety of veggies, that’s so awesome. I agree with you on the freezer, there is definitely a risk there. We sometimes have power outages for a couple of days but if we don’t open the deep freezer even once, the food will be ok. For longer outages, we have a generator so we are minimizing losing the food. But I mostly can veggies; freeze some meats and berries. Us too! And my teenagers think it’s funny that I love to point to the table and say “I grew this” ! Thanks Charlotte, I hope your garlic works out fabulous for you. You wrote that you don’t like mushy vegetables. How do you prevent your green beans from becoming mushy when you pressure can them? I, too will not eat mush and I have several jars of green beans that I won’t be eating except maybe ground up in a stew. Any tips would be greatly appreciated. Hi Paula, our beans don’t turn mushy when we pressure can them. They stay nice and firm; could it be that you are canning them for too long a time? Where are you located? I lived in the Thompson and Cariboo regions as a kid, and have been learning about permaculture. 100 Mile House is the closest town, we live out in the bush. We love it here, where were you living when you were here? Where do you pick tomatoes all day for little money? We do a lot of sauce and would like to save our greenhouse space for other things. There is a place outside Lilloet, it’s called Airport Gardens (I think that’s the name) Well worth it for us, since there is no way we could grow all we need here.